Bollywood superstar Amitabh Bachchan is an all-time great and has achieved more or less everything in his illustrious career. The 76-year-old actor also has a wicked sense of humour and is a goofy personality. Now, Big B decided to indulge in banter with director Shoojit Sircar and it is too hilarious to miss out. Amitabh also had banter with Shah Rukh Khan and it shows how much he enjoys having fun. Yesterday (April 10), NASA revealed the picture of a black hole and many celebs tweeted about it. Director Shoojit Sircar tweeted that he can’t wait to see more pics and wants to go there. The director wrote, “First Black hole image is just unbelievable:) since yesterday I can’t think of anything else. I am craving to see more..actually I want to go there:)”. This is unbelievably funny, isn’t it? 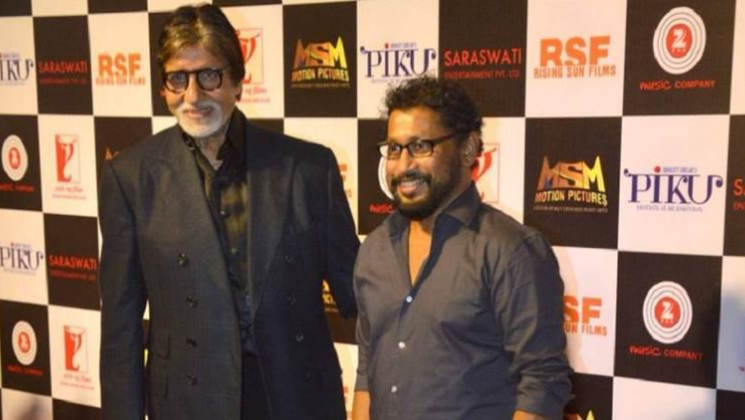 Let’s not forget that Amitabh Bachchan has worked with Shoojit Sircar in ‘Piku‘ .